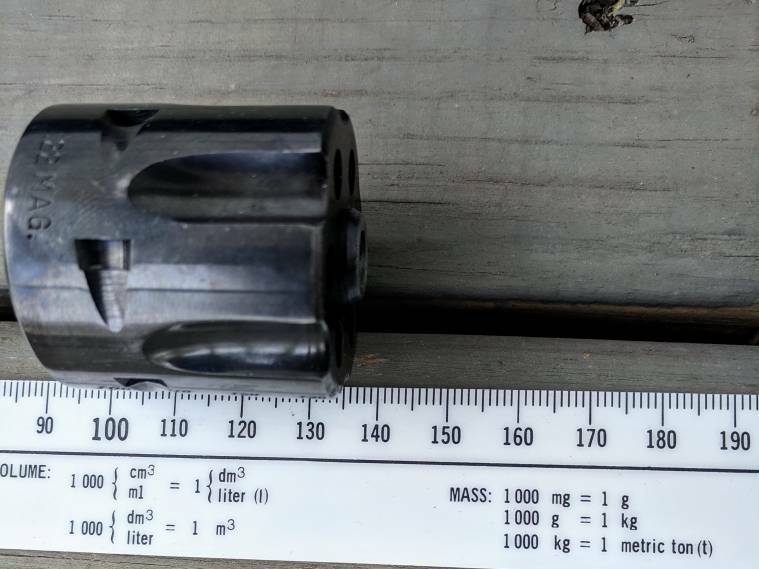 Is this a Colt .22Mag cylinder? 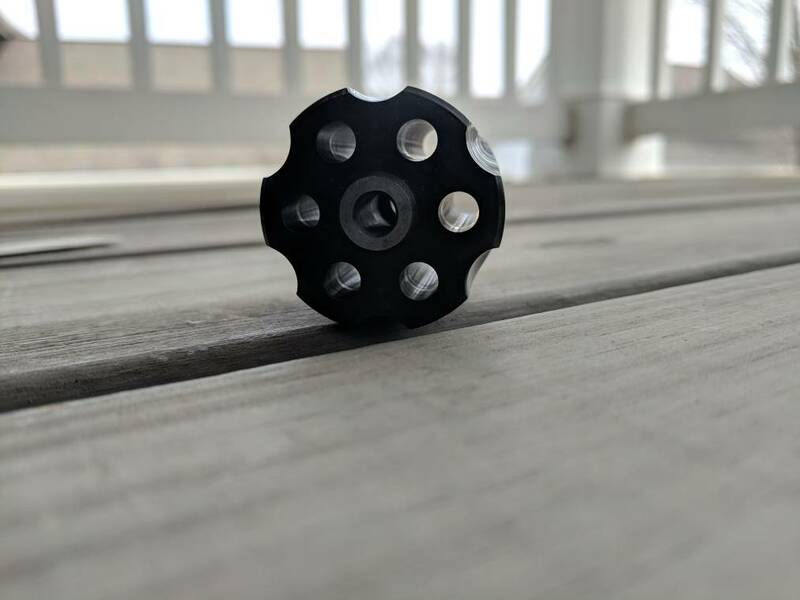 I was given a 22 Mag revolver cylinder which look to have next to no rounds through it. 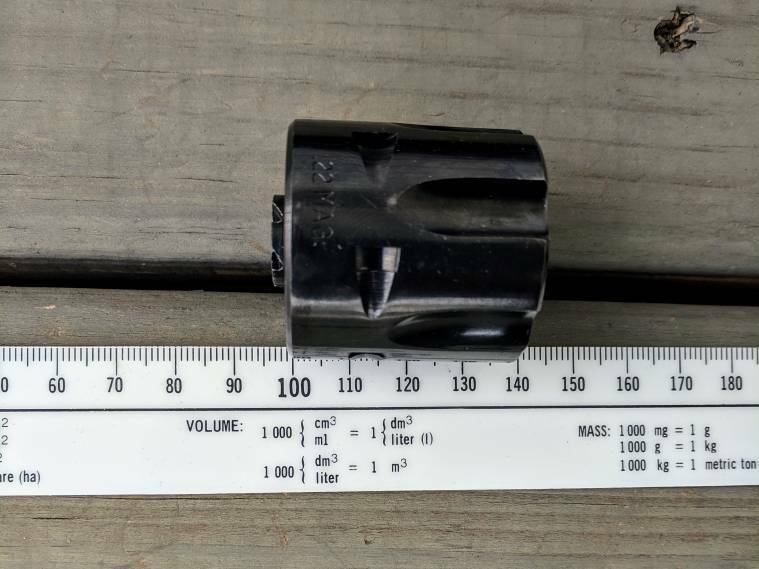 It was in a bag marked "Ruger", but the dimensions don't match, that I can see. I may have posted this long ago on an old forum, but it's still sitting here! Let's give it another shot.......... I posted this in another thread, and it was suggested that I move it here! 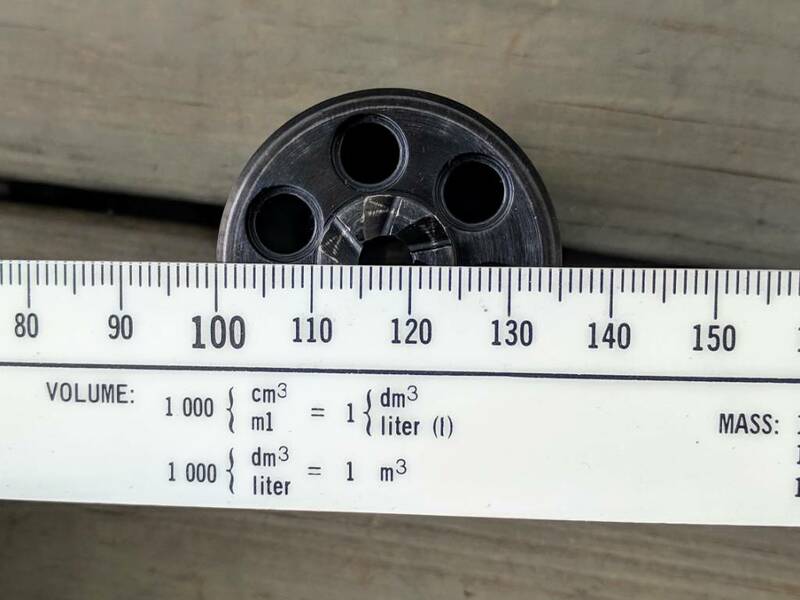 Face to Rear of Cylinder= 1.445"
Cylinder Pin Hole Diameter= .221"
Cylinder Lock Slot Width= .130"
All measurements taken with Vernier Calipers by an discerning amateur! 3 Stamps read: ".22 MAG." Last edited by tomon; 03-20-2019 at 10:56 AM. Running errands at home and will be able to take a few quick pics with a ruler for you. No calipers though. 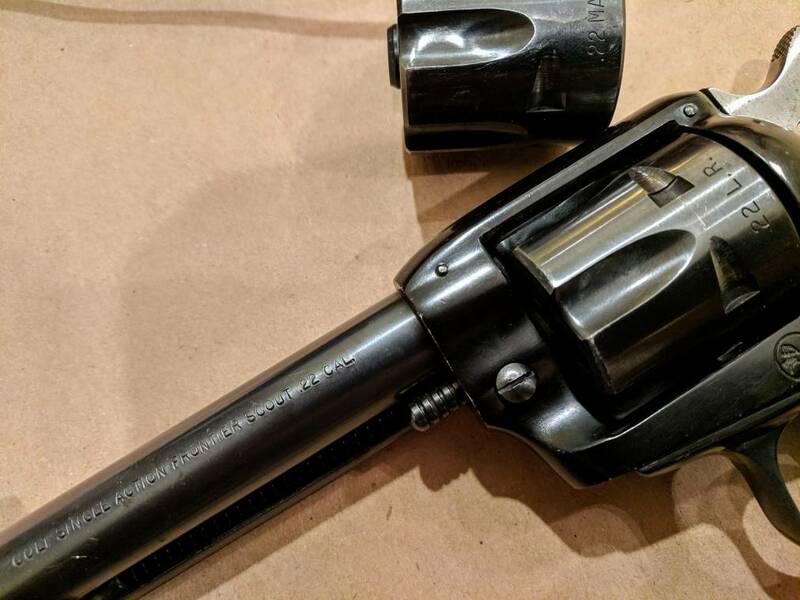 My Colt New Frontier Scout revolver with 22LR and 22WMR cylinders is labeled "22MAG." in three equidistant positions encircling the breech end on the 22WMR cylinder. Don't know if the naming convention changed some 50 plus years back or they wanted to avoid use of "Winchester". Sorry, if needed, I can get better measurements later tonight and with a ruler in inches vs the metric one that I was only able to find in my quick stop. Below are some pictures if useful. Both measured aspects were approx 3.5 cm even if the camera angle isn't clear. Last edited by fidelity; 03-20-2019 at 12:13 PM. tomon I posted pics in your other thread of the other version of a Colt .22 MAG. cylinder from New Frontier. Yours looks very similar to mine. Oddly, mine is marked ".22 MAG." whereas yours has "22 MAG" in the same position without the periods. Thanks for the ID help! Fidelity........Thanks for taking the time to check out your revolver! Hushkaboom.......Thanks for bailing me out AGAIN! Anything I can do for you gents? 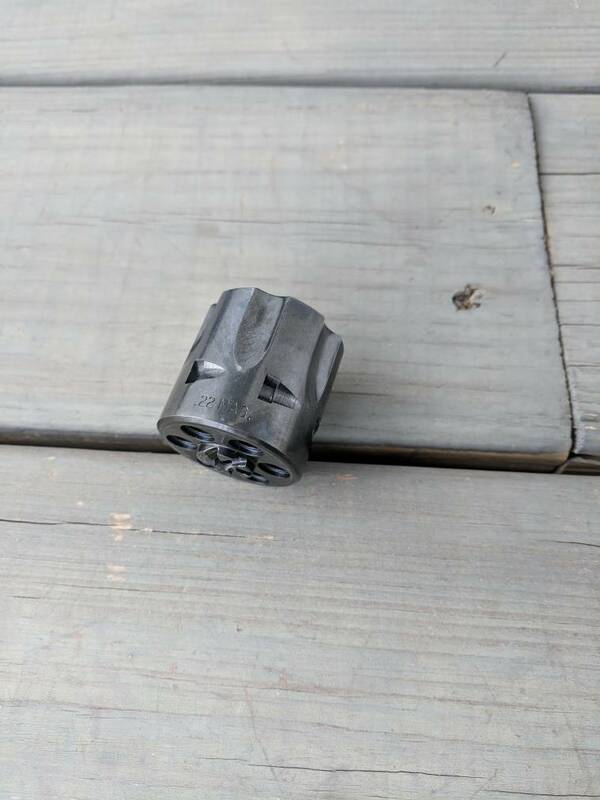 I have a Colt frontier that is marked 22 magnum on the barrel and no markings on the cylinder. The marking would be only needed if you had multiple calibers for the same revolver. 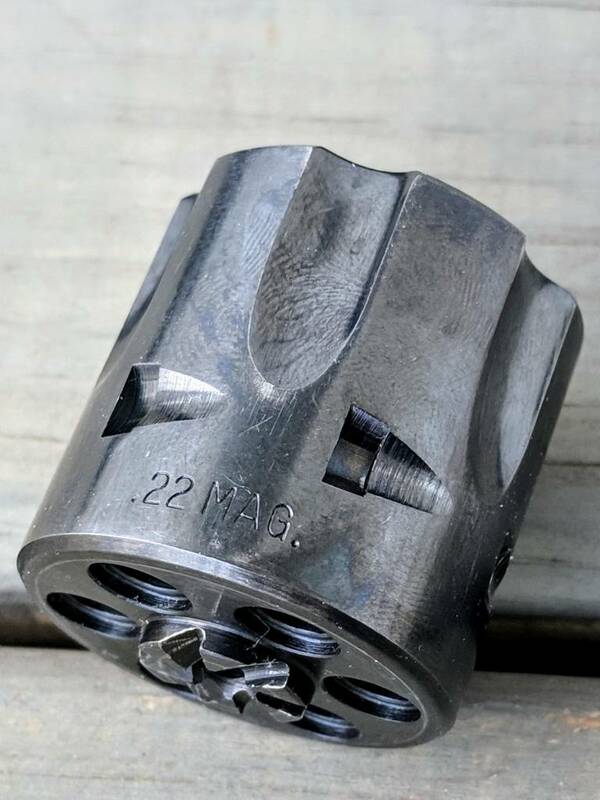 Your barrel is probably .224 caliber, while an interchangeable one might be .2235 to enable the .22lrs to grab the rifling, but not build excessive pressure with the Magnum rounds. Not sure if the resolution on the picture will be sufficient, but here's a shot of mine with interchangeable cylinders. It's marked generically as ".22 CAL." 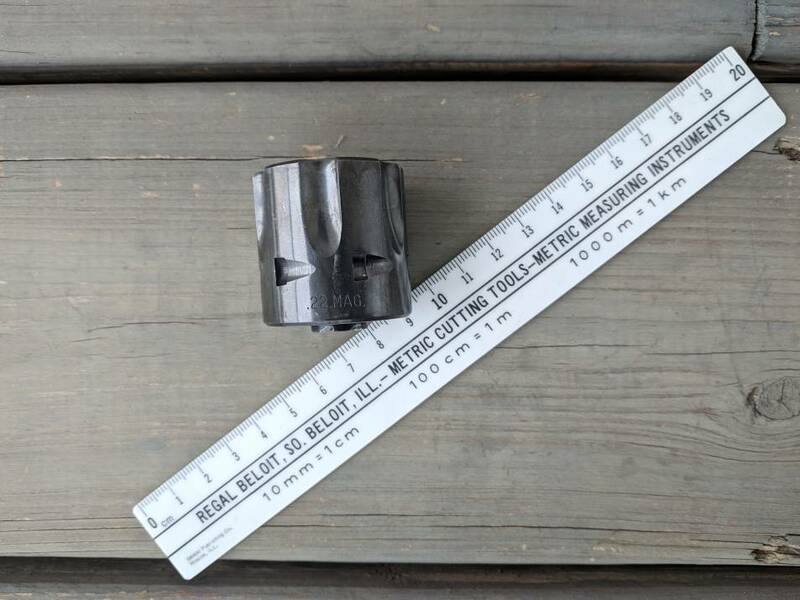 on the barrel, and both cylinders are marked for their specific caliber. "Yours looks very similar to mine. Oddly, mine is marked ".22 MAG." whereas yours has "22 MAG" in the same position without the periods." Mine is marked in 3 places and one has the periods. I would guess it depends on pressure applied to stamp or wear of stamp after much use. The stamping on mine with the periods appears to be stamped in deeper.